I was supposed to buy some art supplies for my Project 365 (actually 366 this year), but I ended up in the bookstore. The artshop was closed due to the annual stocktaking. Who still does that anno 2012? Bookstores are my kryptonite. I just get weak and have no controle over my actions. There are just too many books I want to have. Each book whispers: “Buy me and I will make you happy. I can teach you a lot of new things, show you new worlds beyond your imagination.” How can I resist? I am only human! I have a lot of informative books, I like so many subjects, I just love to learn about a lot of things by reading. Besides that the fact I like to read, I truly heart good filled bookcases. My ultimate dream is to have study with one huge bookcase up to the ceiling with a ladder in a rail, filled with awesome books. 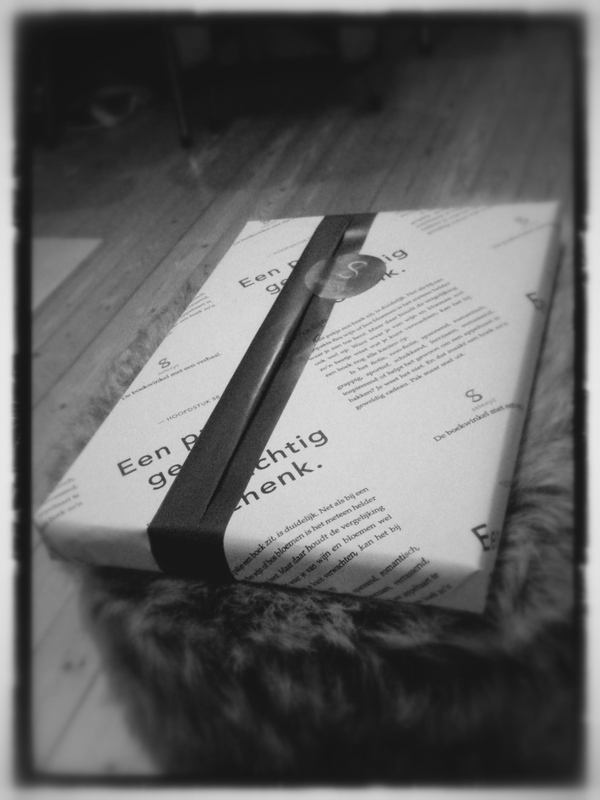 The most silly thing is, whenever I buy books for myself, I have them gift wrapped. I know it’s kind of stupid and I am really way too old for it. But it’s just so nice to unwrap a gift, even if you already know what’s inside. I just get so excited each time I open my own gifts. So today another present for me! Yay, me happy. Ps. : If you want to follow my Project 365 please check http://www.asillyartist.wordpress.com. I started only yesterday, not yet that much to see, but still enjoy! Leuk 365 dagen project! Ik ga je volgen, ook hier! Super idee om je gekochte boek in te laten pakken. Maakt vrolijk! Super! Dank je wel! Ik weet dat je t eigenlijk niet kunt maken, maar ik word er zo blij van, als ik mijn boeken thuis weer uitpak! I love the fact that you have your book purchases gift-wrapped! I may have to start doing the same. I share your love of books. Wonderful post.